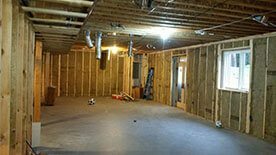 Dreaming of renovating your basement? 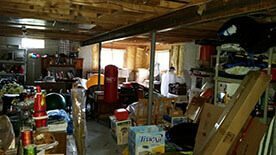 How would you know when it’s the ideal opportunity for a basement renovation? 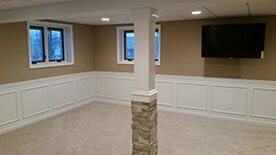 A basement renovation project is one of the smartest investments in your property, according to Remodeling Magazine cost vs. value report. This study found that people recover an average of 70.$% of the investment in the project. You have questions. How much will it cost? When should you do it? How will you find a reliable contractor? 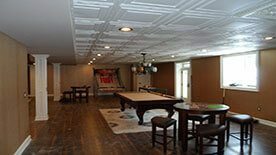 What do you want to do with your basement? 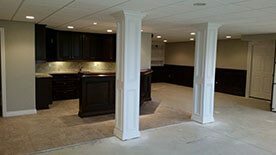 Whether recovering from water damage, preparing to sell your home, or just need more space, we can help you make your dream basement a reality. With our 3-D renderings of the project, you are guaranteed to love the end result. Call us today for a free, no-obligation estimate of your project.